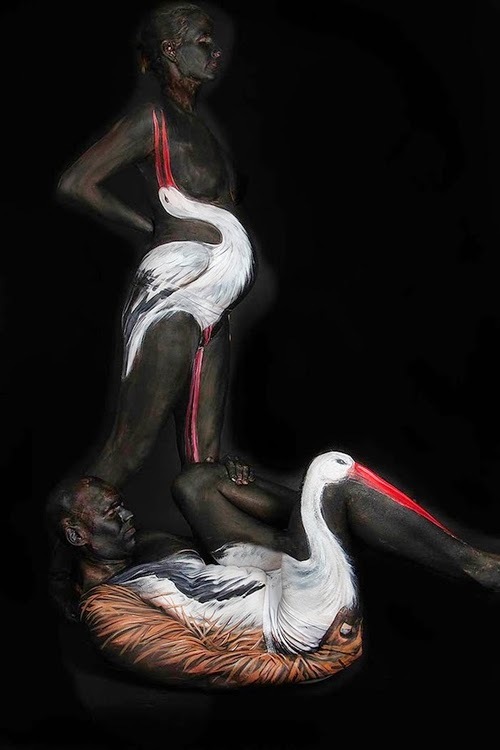 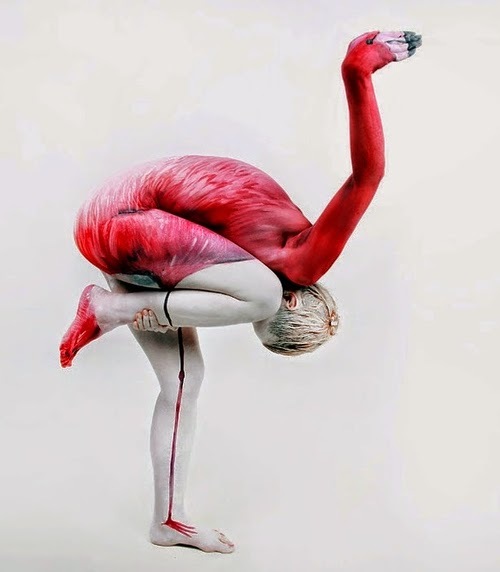 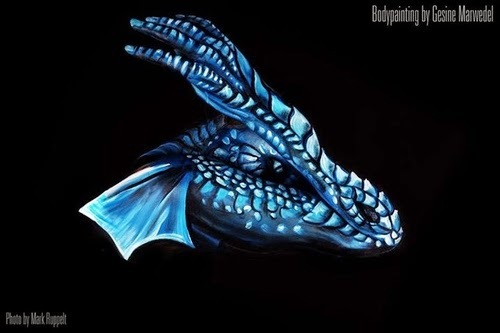 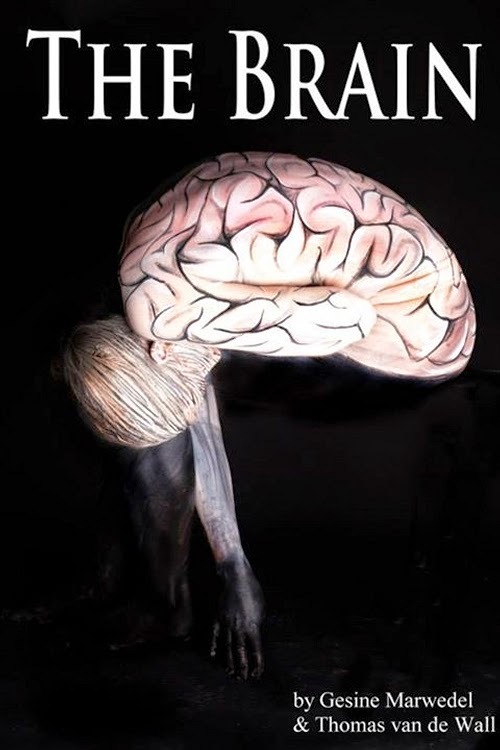 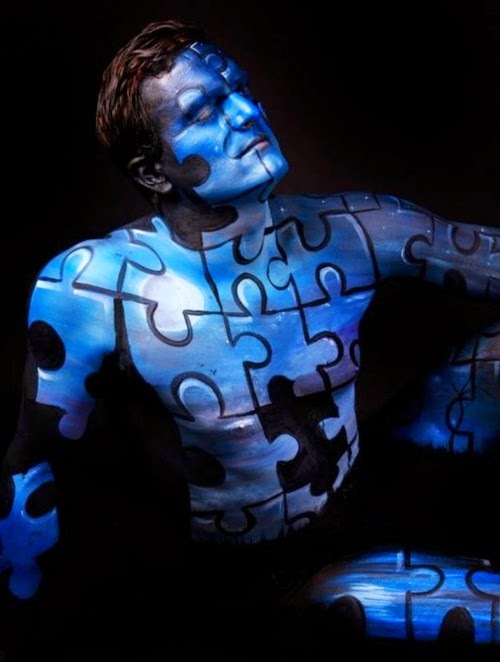 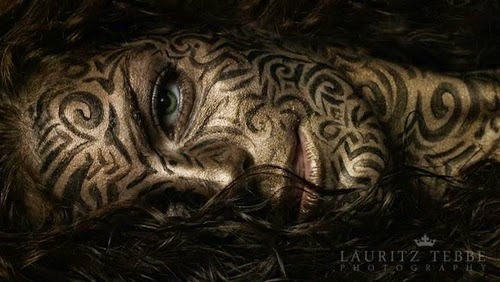 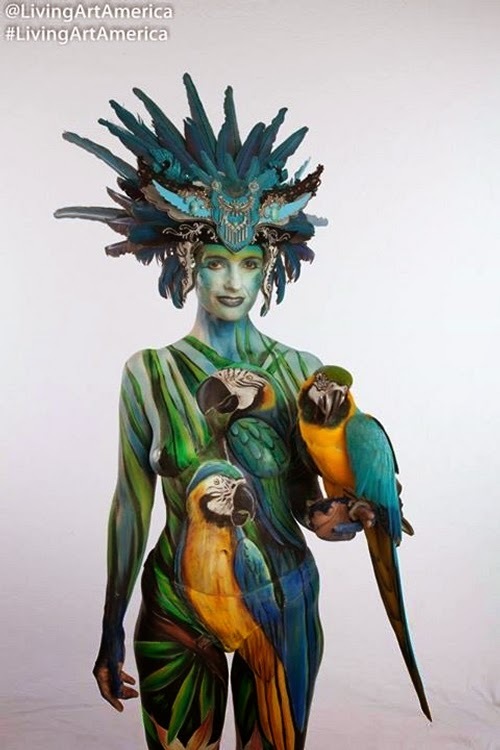 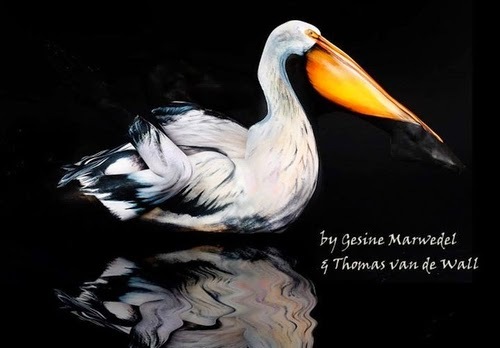 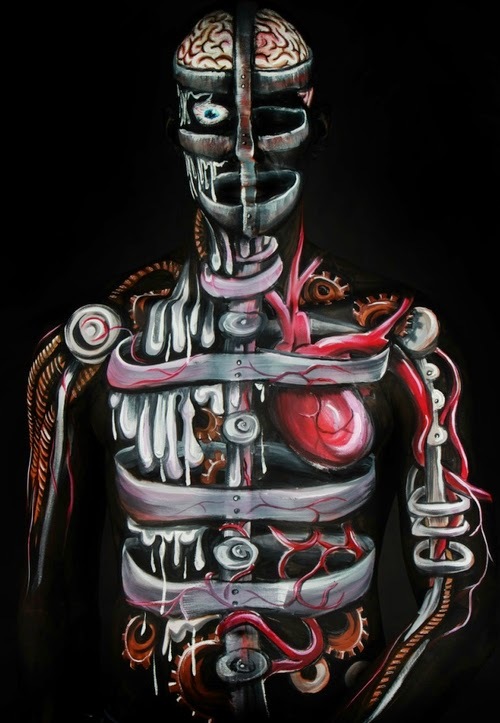 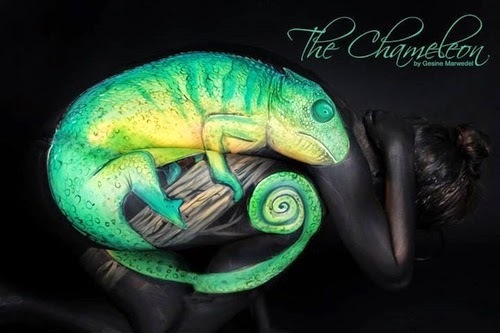 Body Painting Artist Gesine Marwedel, produces lovely paintings using people as canvases. 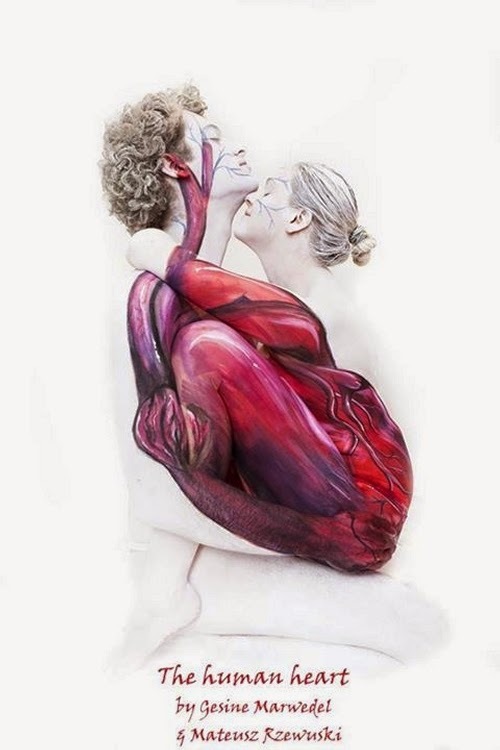 It is so much more than just painting the body, poses, applications of colours used in the background to make parts of the body disappear, use of more than one person to create the shape. 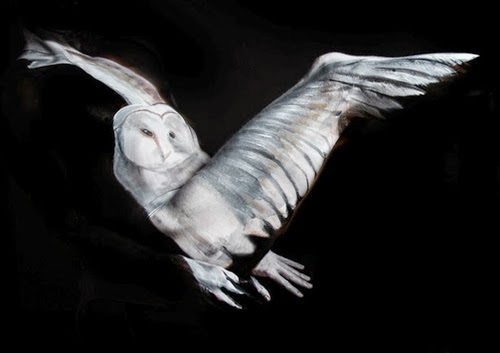 To add to the beautiful images we have included 2 videos that show her process, one in normal lighting and one with UV lighting. 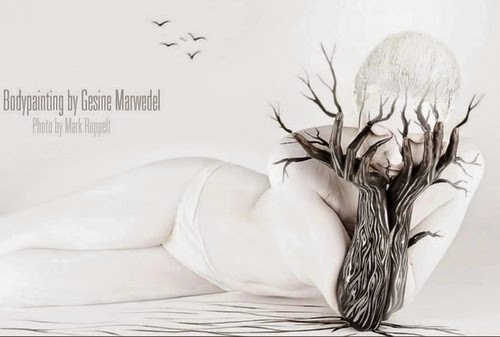 It is in German so we don't really understand the dialog but, you will not need that to see the technique and her painting abilities.